Businesses can lose millions if they don't investigate complaints of harassment quickly and effectively. Outside investigators may be required to breach the confidentiality so important in these situations. So, many companies are turning to their own HR professionals to do the job. 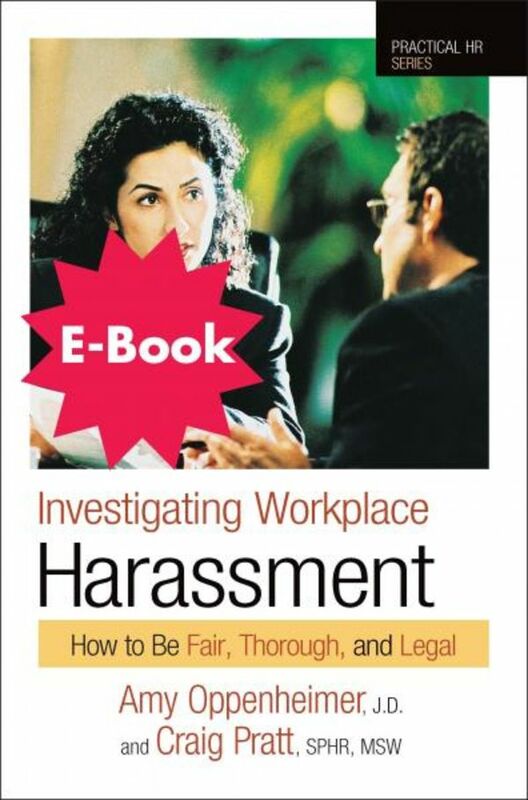 This book details specific, experience-tested techniques for investigating allegations of all types of harassment. With over 25 years of combined experience in cases of harassment, the authors provide advice on every step of an investigation - planning, documenting, interviewing, weighing evidence, making a decision, and taking remedial action. Exercises help develop skills in writing statements, assessing evidence, conducting interviews, and more. The book is chock-full of examples from specific situations and lawsuits, and is invaluable to readers new to the field and to those with some training or experience. Purchase the complete Practical HR Kit and save!